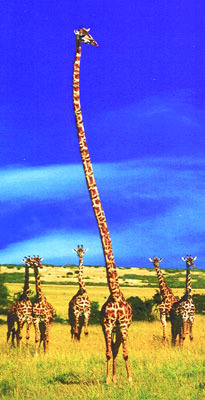 The Giraffe - Animals that stand out in a crowd. Marriage - A relationship that cannot stand alone. Health - Strength to stand the test of time. Humanism - Perversion that will not stand before God. Just the Facts Darwin, Just the Facts! The Bible - The Book that stands alone.